Old Topanga Canyon from Topanga Canyon to Top – You get to hang out with hippies and millionaires all within a few hundred yards of each other. A really neat narrow canyon with some cool red rock that is not found anywhere else in the Santa Monica’s. Gentle at first with a good climb at the end. A cool running creek nearby in the winter when there is enough rain. 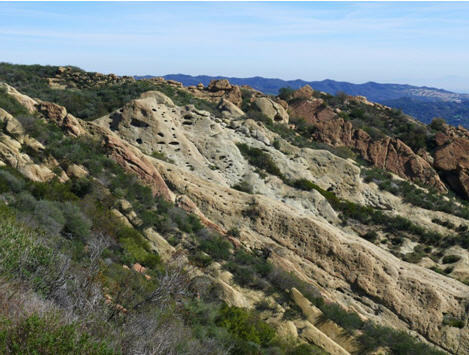 Red Rock Road is midway up Old Topanga Canyon. 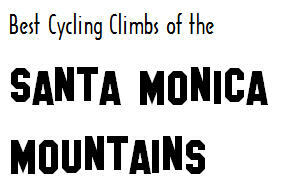 Though this is not part of the route, it is a really fun diversion. Worth the few minutes it takes to get to the end just to enjoy the very cool geology. The route does have a bit of traffic. A pain to get to. In some way shape or form you have to take Topanga to get to it and riding on Topanga is never a lot of fun. 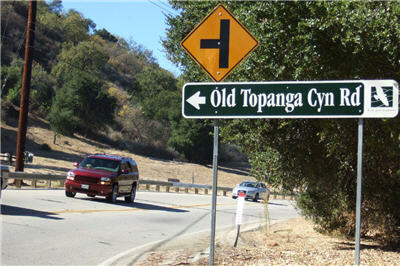 Making a left turn to get onto Old Topanga is a harrowing experience. It is at a blind turn and cars are going very fast. Making left turns onto either end of Old Topanga can be a harrowing experience.